The original and famous shop on the corner in Berrima, Mrs Oldbucks Pantry offers you a range of delicious products online. Mrs Oldbucks Pantry – The famous jam shop located in historic Berrima in the Southern Highlands of NSW has recently changed hands and we are currently upgrading the website and online store. LAUNCH OF NEW SITE HAS BEEN DELAYED. Mrs Oldbucks Pantry offers you their range of delicious jams, preserves and gourmet products online. • without using preservatives and additives. Catering to the finest and most discerning palate superb, subtly flavoured jams, pungent mustards, tangy pure fruit jellies and chutneys, pure peanut butter, decadent toppings, fine speciality teas for flavour and health. Make your choice … place your order … and savour the flavour of our delicious products!! For all Tea Lovers out there! 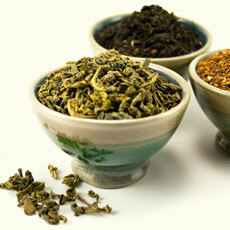 Spend over $80 on tea and get free freight! This offer does not apply to PO Box or international addresses! To redeem our offer please quote – “MOPteaoffer” – in the message section on the order form when ordering online. This will allow us to adjust or remove the freight charges accordingly. now $3.00 per 10/20g sample!